Two operating modes (Standby and Normal Mode) together with the dedicated fail-safe features make the Atmel. ATA6566 an excellent choice for all types of high- speed CAN networks, especially in nodes requiring low-power mode with wake-up capability via the CAN bus. The ATA6566 is automotive Grade 0 qualified for an ambient temperature range from -40° to 150°C. 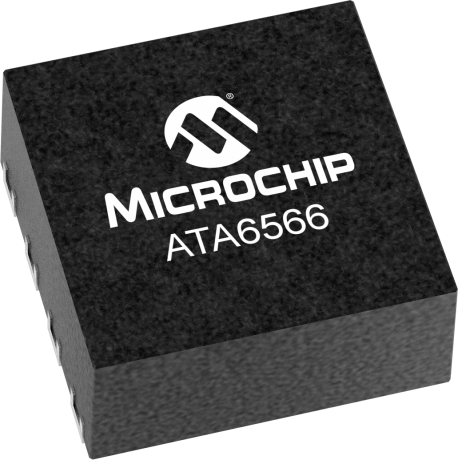 To purchase the ATA6566 or obtain additional information, please contact any Microchip sales representative or authorized worldwide distributor. The development board for the ATA6566 enables users to rapidly carry out prototyping and testing of new CAN designs with the ATA6566 high-speed CAN transceivers.